End Times for the Chinese Newspaper? We have a number of important stories on China’s media this week. Two of these speak to the rapid and steady decline of traditional print newspapers in the country — first, the closure of a major commercial newspaper in Gansu province, following a string of similar closures on the east coast (as print revenues decline in the face of internet growth), and second, the ongoing leadership saga at The Beijing News, long regarded as one of the China’s top professional newspapers. 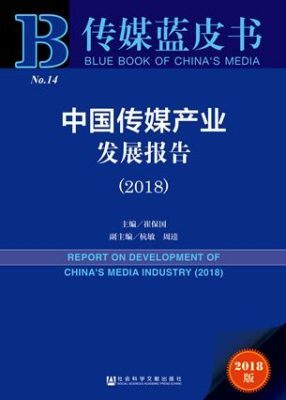 Also this week, the release of the 2018 Blue Book on China’s Media, a media industry survey produced by Tsinghua University, helps to explain where the development is actually happening in China — think mobile internet, which now accounts for almost 70 percent of the total internet advertising market and has surpassed the entire advertising market for traditional media. On June 21, the School of Journalism and Communication at Tsinghua University released 2018 Blue Book of China’s Media (传媒蓝皮书-中国传媒产业发展报告), the ninth in the annual series, which looks at media development in China across various segments of the industry. The Blue Book shows that according to statistics from the Financial Affairs Department of the State Administration of Press, Publication, Radio, Film and Television (SAPPRFT) — an office that was recently slated for reform — revenues for television advertising in China for 2017 fell for the first time, dropping 1.84 percent from the previous year. Advertising revenues for print continued to drop in the double digits, down 14.8 percent from 2016, but the numbers for newspaper advertising were even worse — down 30 percent for a total of 15 billion yuan. Looking at traditional media, only publishing and film recorded growth for the year, but both were marginal in comparison to the internet. Online advertising, online games and online video were the three major engines of growth in the media industry, according to the Blue Book. The market size of the mobile internet has already surpassed that to the traditional internet, and mobile internet advertising now accounts for 69.2 percent of the total internet advertising market, and has itself surpassed the entire advertising market for traditional media. According to the Blue Book report, the newspaper industry in China “reformed” and developed for around 40 years, enjoying a roughly 20-year golden period (辉煌时期). But faced with the challenge of new technologies, and new business models, newspapers were in an increasingly passive position. Some newspapers, said the report, had remained at the forefront of media convergence — for example the People’s Daily “Central Kitchen” (中央厨房), or “Media Hub,” designed to be a full digital convergence content supplier for a range of media clients. Other directions of development, the report noted, include “robot-generated news” (机器人新闻写作), virtual reality (VR) and augmented reality (AR) offerings and “data storytelling” (以数据讲故事), but these are not yet profitable businesses. On the foundation of the capital invested in the big three Chinese internet companies — Baidu, Alibaba and Tencent, known collectively as “BAT” — links will continue to be made with other industries. Most of the leading news and entertainment media in China today are in some way or another tied to or dependent upon the big three, with examples including Jinri Toutiao (今日头条), Bona Film (博纳影业), Enlight Media (光线传媒), 21st Century Media (21世纪传媒), Youku (优酷), Tudou (土豆), Huxiu (虎嗅), Zhihu (知乎) and others. 3GPP, the international standards body that governs cellular standardization, approved the 5G SA (standalone) standard, meaning that the commercialization of 5G is drawing closer, due for a possible rollout in 2020. With the support of the China Academy of Telecommunication Research of MIIT (CAICT), China Mobile and Datang Telecom Group have formed three national engineering laboratories, and these, according to the People’s Daily, will be the primary vehicles for 5G innovation in China. Reporting on the approval of the 5G SA standard, China Business said that the core question now was what sorts of breakthroughs 5G SA might support, following on ground-breaking changes with previous standards — messaging with 2G, smartphone applications with 3G, and new video capabilities with 4G. CAICT has said that 5G advances could mean new services in such areas at 3D high-res video, cloud offices and gaming, mobile-based medical services, self-driving vehicles, smart cities and smart homes. According to Shanghai’s The Paper (澎湃新闻网), former Beijing Business Today editor-in-chief Li Hai (李海) has been transferred to The Beijing News, where he is now deputy chief editor. The move could be an effort to address the hemorrhaging of top management from The Beijing News, which was once one of the country’s most respected professional newspapers — although the position of editor-in-chief position at The Beijing News remains vacant. 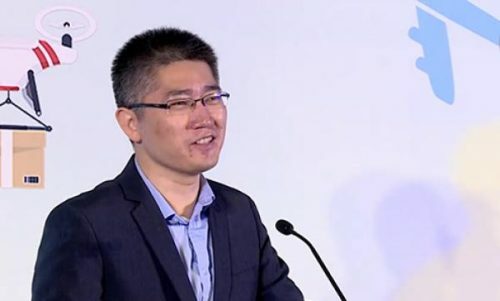 Li Hai was a long-serving editor at Beijing Business Today, and was the deputy editor-in-chief before being promoted to the editor-in-chief position. Beijing Business Today editor-in-chief Li Hai has been brought on to the editorial team at The Beijing News. SOURCE: The Paper. In 2011, after The Beijing News was placed under the management of the Beijing Municipal Propaganda Department (北京市委宣传部), essentially downgrading its position as a national-level paper, two top leadership positions were designated, both to be appointed by the propaganda department: 1) director/Party secretary (社长/党委书记); 2) deputy secretary/discipline inspection secretary (副书记/纪委书记). The top editorial positions were to be held by one chief and four deputies (一正四副), with Wang Yuechun (王跃春) serving as editor-in-chief, and Wang Yue (王悦), Liu Binglu (刘炳路), Wang Aijun (王爱军) and He Longsheng (何龙盛) serving deputies. In 2015, both Liu Binglu and He Longsheng left the newspaper, Liu going to Ant Financial (蚂蚁金服) and He joining Kunlun Fight (昆仑决), a kickboxing entertainment company. Both of their positions were left vacant. Since the end of 2017, The Beijing News has continued to lose top management. The paper’s former director exited to become the CEO of the Beijing Cultural Center Fund (北京市文化投资发展集团), and the position was taken up by Song Ganshu (宋甘澍), the chair of the Chinese People’s Political Consultative Conference for the local district of Dongcheng. Finally, in December 2017, editor-in-chief Wang Yuechun announced her departure. 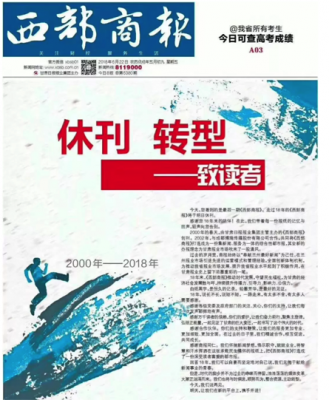 At an internal meeting on June 20, the Gansu Daily Newspaper Group (甘肃日报报业集团) announced that it would close its commercial spin-off, the Western Economic Daily (西部商报). The newspaper, which was launched on January 1, 2000, has continually suffered deep losses in recent months and years — cited as the chief reason for its closure. 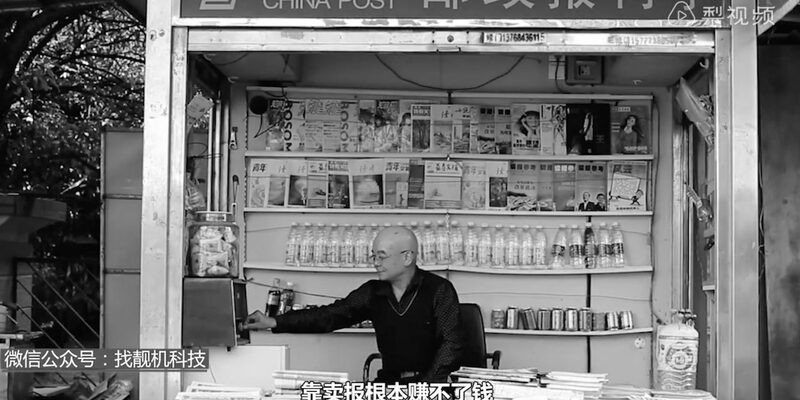 The paper has reportedly also had serious problems competing for revenue with Lanzhou Morning Post, another commercial city newspaper launched in 1997. For many years, perhaps up through 2010, China’s newspaper industry seemed immune from the storms pummeling traditional media in other parts of the world. But since that time, the rise of new internet platforms, and a corresponding decline in newspaper readership, has hit the industry hard. Newspaper groups in Shanghai, Zhejiang and other areas along the south and east coastal regions of China have progressively shut down many newspapers. The closure of Western Economic Daily could be understood as an indicator that the wave of closures is moving inland. According to a report by Jiemian News (界面新闻), the WeChat public account “Chengyuan Lawyers” (律师程远) was sued back in March by the medicinal wine brand Hong Mao, based in Inner Mongolia, after it published an article analyzing alleged illegal advertising by the company. Hong Mao accused the account of “infringing on its reputation” (侵犯其名誉权), and demanded that the offending article be deleted and a public apology made in addition to symbolic compensation of 1 yuan. On June 13, Shanghai’s Minhang District Court rejected the lawsuit, saying that upon review of the article in question, which made use of Hong Mao advertisements, and reviewing government regulations concerning the management of advertisements, the opinions and advice provided by the public account were a matter of food and medicine safety and a public interest concern (食药品安全之公共利益的关注), and they should fall within the scope of protected freedom of expression (应属受保护的言论自由之范畴).